Opened in 1998 as the Century Sparks 14. Closed September 29. 2016 as the Century Sparks and XD (Cinemark). 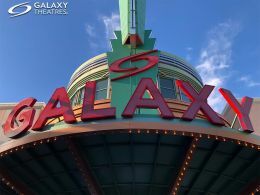 Reopened in September 2018 as the 13-screen Galaxy Victorian (Galaxy Theatres). This movie theater is near Sparks, Reno, McCarran, Lockwood, Sun Valley, Spanish Springs, Spanish Spgs.